I look forward to the holidays because I get to spend time with family and friends that I do not see often and share family recipes. One of my favorite events is a holiday cookie swap because I get to try my friends' yummy recipes, as well as share my own. One of the fun things about cookie swaps is getting to take a box of assorted cookies home with you or making a package to share with a neighbor. I love to decorate my containers, so they are as festive as the cookies inside. 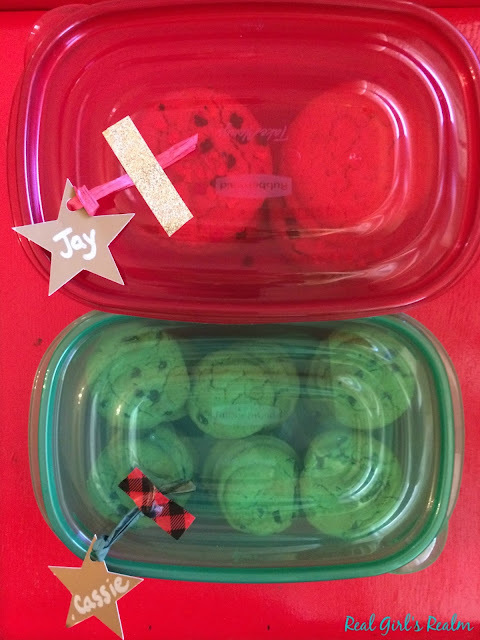 Rubbermaid TakeAlongs makes it easy to share your favorite cookies and the Quik Clik Seal™ keeps them fresh for days (not that they will last that long!) The best part is that they are microwavable, top rack dishwasher, and freezer safe. 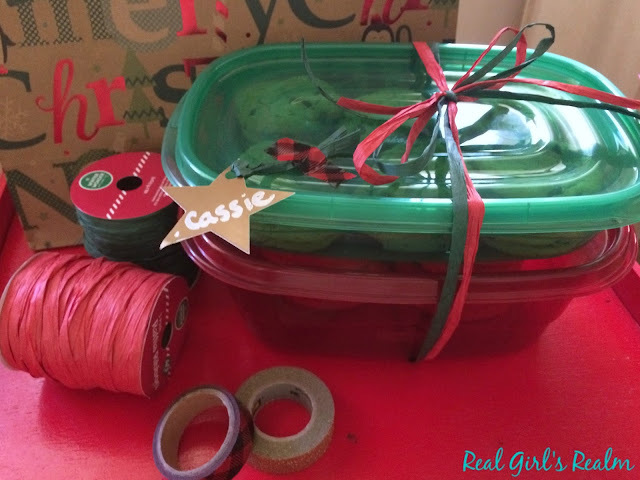 I am going to show you how to customize the limited edition red and green TakeAlongs with holiday shaped gift tags, washi tape, and ribbon. I am using my Cricut cutting machine, but you can use any cutting machine or cut them out by hand. 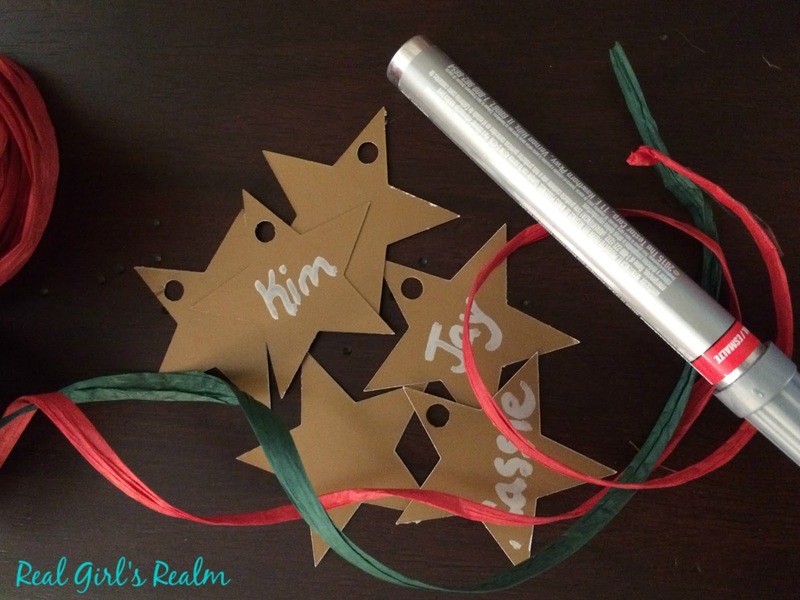 Use the metallic pen to write your guests names on the tags. Loop a piece of the raffia through the hole in the tag and knot it. Affix the tag to the container using festive washi tape. If gifting multiple containers, use the raffia ribbon to tie the containers together. The containers come in several different sizes and shapes to accommodate any delicious holiday meal or treat! 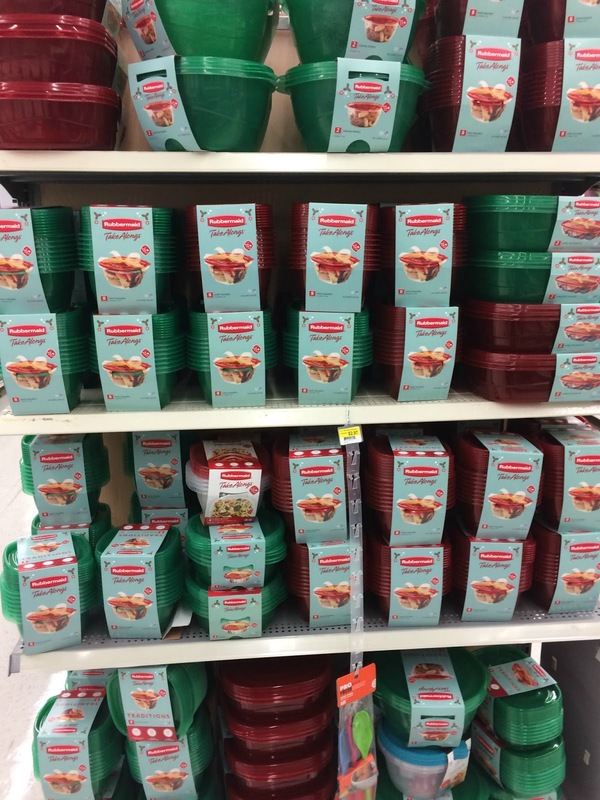 You can find the limited edition holiday Rubbermaid TakeAlongs at your local Walmart. Just look for the festive display! Make sure you pick up all your baking and crafting supplies while you are there, so you can make gifts for all of your neighbors. For more holiday inspiration, click here! Be sure to also follow Rubbermaid on Facebook and Instagram! 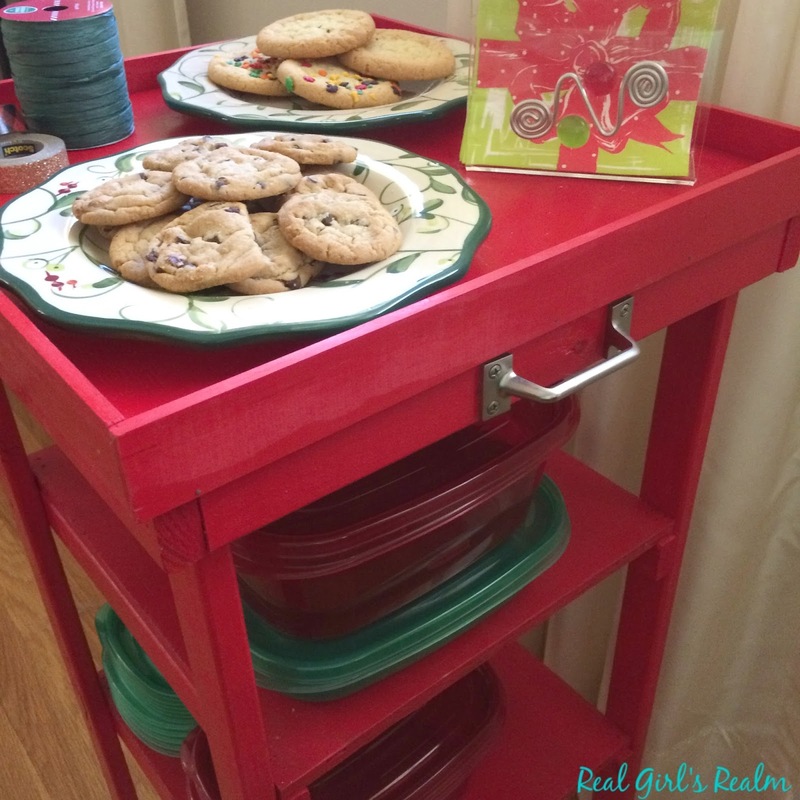 What will you put in your Rubbermaid TakeAlongs? It would also be super cute to wrap the washi tape around the container or across the lid! I use these containers a lot during the holidays. Yes, or use the tape to make a design on the lid, like a Christmas Tree. 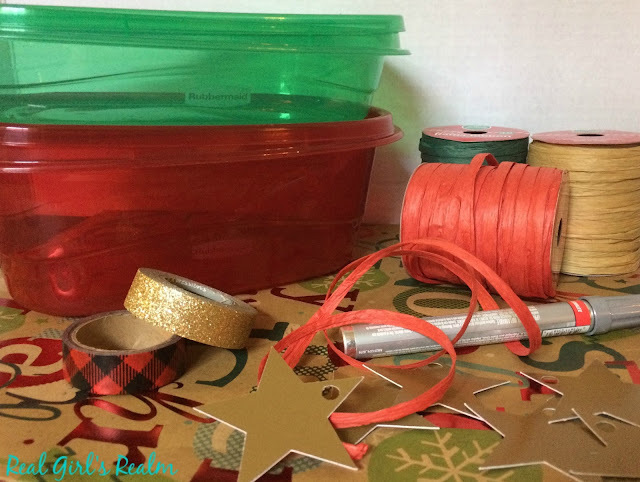 What a great idea to use the washi tape! I would have never thought to use it! BTW: I'm totally stealing this idea for Holiday goodies! Erin, Please steal my idea...I am sure you will have something tasty in your packages! The washi tape is a cute idea to attach the tags! 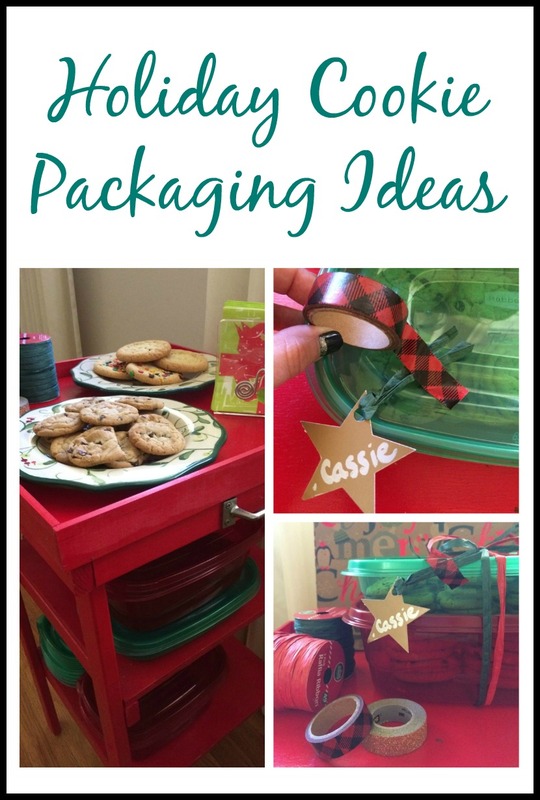 I'm definitely going to do this for our cookie swap! That's such a cute idea! Love the washi tape! Thanks Laura! I LOVE washi tape! Thanks Denise! 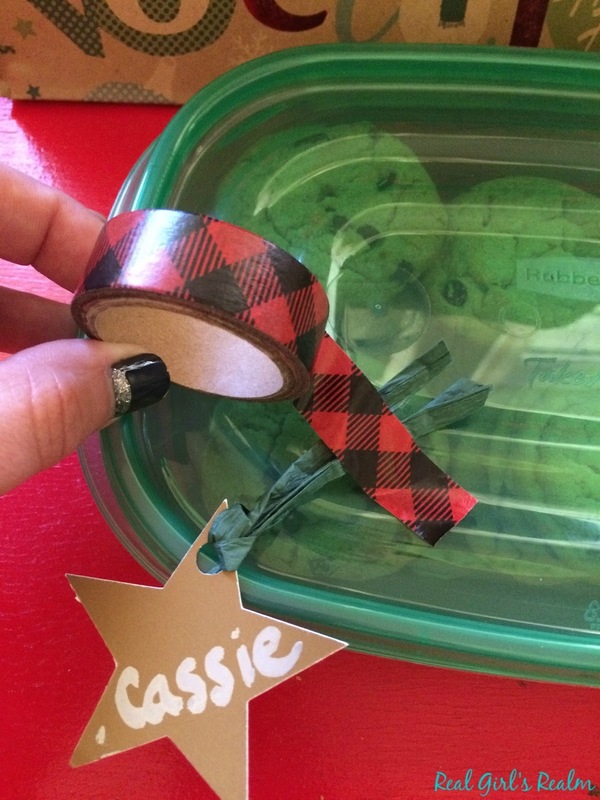 I love to personalize gifts and washi tape is my favorite!